Do you even chafe? | JustRunLah! As a first post, I’ve been pondering about what topic to write. I can write about myself which is boring or I can write about a topic that chronically affects most tuapuis like me. Maybe it’s just me but I tend to suffer this more than anyone that I know of. For the uninitiated, tuapui is a Hokkien dialect which translates to mean “fatty” and this post/blog is by no means dissing any overweight individuals since I’m very much in the same boat. So, the question is … “do you even chafe?”. I do, by the 7th km mark on my weekend runs, my inner thunder thighs would be screaming murder and every trickle of salty sweat around the chafing feels like someone rubbing salt to your wound (like literally). Showering after your run with chafing wound is like someone smacking your very sunburnt arm because it hurts so bad. And if you are like me where you like to wear shorts to just about everywhere, you’ll pretty much be waddling for at least a week. 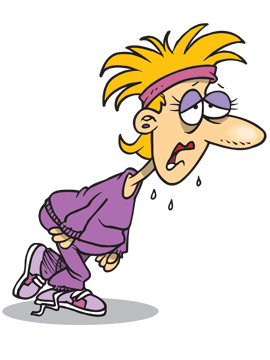 If you have never experienced chafing, count your blessings. I’ve heard and also seen (read: google) some terrible chafing images (men, you know what I’m talking about) and boy, you don’t want that to happen to you. Wearing tights can help prevent chafing but in Singapore’s lovely heat and humidity, the thought of being tightly bundled up like a dumpling (a very real scenario for a me) is not very fun. There aren’t many tights manufactured for large size individuals like me but that’s another separate topic all together. My favourite shorts these days (without it riding up in between my thunder thighs) is running shorts. Only problem is, it gives me really bad chafing. 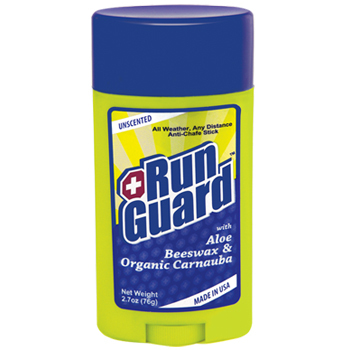 Someone finally recommended me Run Guard and I tried it for the first time during my Energizer Night Trail Run. I was skeptical how this thingamajig can help prevent chafing but reviews on Amazon seem to indicate that people swear by it. So before I left for my trail run, I rubbed it all over my inner thigh, not once but THREE times before I left the house because the thought of getting chafing again scared me. Being rather paranoid, I brought Run Guard with me and applied it again just before flag off. And this thing really worked for me. Despite the grueling trail, I had my running shorts on and ran as much as I could and didn’t see any chafing streaks. Ok, so maybe I applied it excessively but I tried it again the following week with just one application – worked like a charm! This may be old news for the seasoned runner but hey, for individuals like me struggling to even complete 10km without chafing, this is priceless! I’m not paid to sing praises about this product but for some overweight people, chafing is something that we encounter even when we walk, let alone run! Click here for more post from tuapui. whenever i need to reapply (or apply) a fresh coat of lubricant over any part that is being affected, or might be affected … Vaseline to the rescue !